Dominic M. Caparello - Mediator based in Tallahassee, Florida. Messer, Caparello & Self P.A. If you’d like a list of available dates for Dominic Caparello, please submit a request below. You will hear back directly from Dominic's assistant, Catherine Gentry. Mr. Caparello's extensive mediation practice ranges from plaintiff and defense personal injury, product liability, construction law, medical malpractice, employment law, public body liability, class actions, and various aspects of commercial litigation. Mr. Caparello has handled litigation and mediations in numerous Florida cities, as well as other states. He has appeared in all levels of trial and appellate court, including the Florida Supreme Court. He is admitted to practice before the United States Supreme Court and all federal courts in Florida. Mr. Caparello holds an "av" rating by Martindale-Hubbell reflecting the highest distinction available for legal ability, adherence to ethical standards, professional ability and diligence. Florida Trend Magazine has cited him as one of "Florida's Legal Elite" attorneys and Florida Super Lawyers magazine has cited him in its list of "Florida Super Lawyers." In addition, the publication, "The Guide to Leading Florida Attorneys" cited Mr. Caparello as one of Florida's most respected legal counsel in the areas of personal injury and alternative dispute resolution. 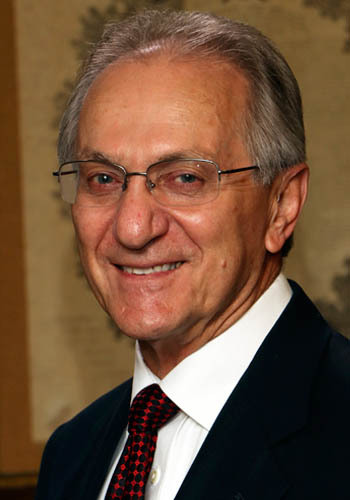 In November 2011, Mr. Caparello was selected into the International Who's Who of Mediation Lawyers. The selection was based on the opinions and input of international law firm clients, corporate counsel and mediation specialists from the United States and around the world. Forty seven United States mediators were selected and Mr. Caparello was one of only five from the state of Florida. The publication of the International Who's Who of Mediation Lawyers is affiliated with the American Bar Association Section of International Law, and the International Bar Association. Mr. Caparello is certified by the Florida Supreme Court as a Circuit Court Mediator since 1992, and is a Director of the American College of Civil Trial Mediators. Dominic M. Caparello was admitted to the Florida Bar in 1976 and practices with the firm of Messer, Caparello & Self, P.A. in Tallahassee, Florida. He received his B.S. from the University of Massachusetts in 1969; his M.S. in Oceanography from Florida State University in 1972, and his Juris Doctor with honors at Florida State University in 1975. Mr. Caparello is an elected member of the Board of Governors of the Florida Bar, the governing body for all attorneys licensed in the state of Florida. He has served as President of the Tallahassee Bar Association; an instructor and chairman of the Florida Bar's Trial Advocacy Program; chairman of the Executive Council of the Florida Bar Trial Lawyers Section; an Advocate in the American Board of Trial Advocacy; a Master Lawyer in the Tallahassee American Inns of Court; a Commissioner and Chairman of the Second Circuit Judicial Nominating Commission; a member of the Florida Bar's Grievance Committee for the Second Judicial Circuit, a member and chairman of the Florida Bar's Judicial Nominating Procedures Committee, and chairman of the Florida Bar Fee Arbitration Committee, Second Circuit. Mr. Caparello has lectured and instructed on trial practice, mediation and arbitration issues for the Florida Bar and Florida State University College of Law.